And it’s all for a great cause. Fancy an enthralling evening in the company of some of Ireland’s greatest and most decorated sportsmen? If you do, we’ve got good news as we have four pairs of tickets to give away to An Evening With, taking place in House on Leeson Street in Dublin on Wednesday (24 October). 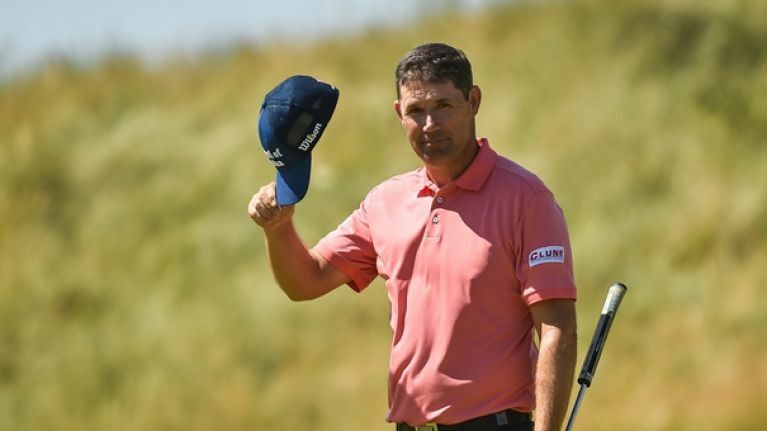 The event will feature three-time major winner Padraig Harrington, former Irish international Tony Cascarino and former Olympic swimmer Gary O’Toole, with journalist Paul Kimmage, himself a former professional cyclist, on hosting duties on the night. All of the guests on the night will give an insight into some of the most memorable experiences throughout their sporting careers, with the Olympics, the Ryder Cup and Italia ’90 also likely to come up in conversation at some point. The event is being staged in aid of The Irish Hospice, with all proceeds on the night going to a charity with a vision for Ireland that no one should face death or bereavement without the care and support they deserve. Complimentary food will be provided on the night and, thanks to generous sponsors, a free bar will be provided for the full duration of the event too. The event starts at 7pm sharp and will run until approximately 10pm. Several spectacular prizes will also be auctioned, including 2019 Six Nations tickets, tickets for next year's British Open, tickets for Ireland v the All Blacks this November and more. Space is limited to just 60 guests on the night and guests will have the opportunity to ask questions and to get their photo taken with the guests afterwards. Tickets for the event cost €50, but we’re lucky enough to have four pairs of tickets to give away; all you have to do to be in with a chance of winning is to answer the simple question below. If you can't see this form, please click here.